Liberty Utilities has begun exploring a utility microgrid in the North Tahoe region of California that would use up to 8 MW of Tesla batteries to prepare the grid for more renewable energy and reduce power supply costs. The Olympic Valley Microgrid Project would be owned, operated and maintained by the utility at Squaw Valley Alpine Meadows, a ski resort community. Described as an upgrade to utility infrastructure, the project requires approval by the California Public Utilities Commission and Placer County. The batteries would be charged with surplus grid energy when demand for power is low, and then discharged when it is high. As a result, the utility would avoid buying power, reducing costs. The charging would take place via existing utility power lines. The utility microgrid also will make it easier to integrate more renewables onto the grid. Microgrids and batteries offer a quick way to inject energy onto the grid when renewables suddenly stop producing power because clouds cover the sun or the wind stops blowing. Liberty Utilities hopes to exceed a California state mandate of 50 percent renewable energy supply by 2030. 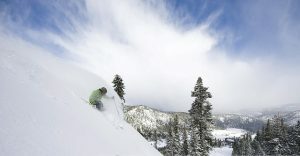 Squaw Valley Alpine Meadows has even more aggressive clean energy goals. The ski resort wants to be powered by 100 percent renewable energy sources as early as 2018. Liberty Utilities owns and operates several small regulated water, wastewater, natural gas and electric transmission and distribution utilities that serve i 750,000 customers in 12 states. 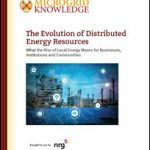 Learn about the latest utility microgrid projects at Microgrid 2018, May 7-9 in Chicago.